Entries are now open for the PRWeek Awards 2019, the most prestigious awards ceremony for the UK PR industry. Taylor Herring was among the big winners in 2018 - who will strike gold this year? 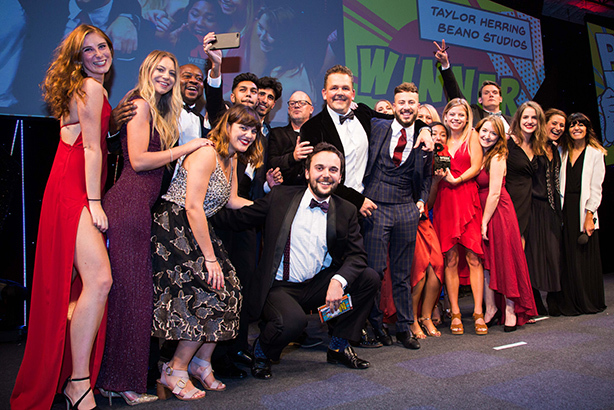 The winners of the PRWeek UK Awards 2019 will be announced at a gala awards evening taking place in London on Tuesday 15 October, where the best agencies, in-house teams and individuals will be crowned. For more information on the Awards, including the entry kit that outlines the criteria for each category and individual awards, visit the PRWeek UK Awards website. The deadline for submission is Thursday 23 May. Entries submitted after that date, but before the late deadline of Thursday 6 June, will incur a late fee per entry. For more details on the PRWeek awards, contact Nitika Sharma on 020 8267 4172 or nitika.sharma@haymarket.com. Click to see the full list of winners from the PRWeek Awards 2018.